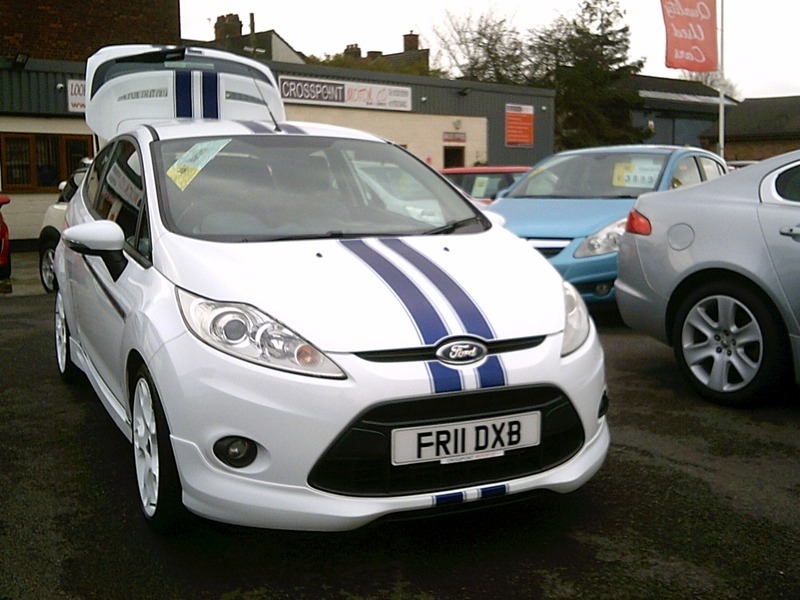 Just arrived, This stunning sporty Fiesta S1600 in Frozen White with Blue decal's and full leather trim. Great specification including White Alloys, Heated front screen and Heated front seats.This car looks and drives great and comes with full service history, 12 months MOT & 2 Keys. Why not ask about our finance options on this car with flexible deposit and terms available. We are open 7 days a week - no appointment required, however if you are traveling a distance we would advise to call first to check availability.